It does not matter if you want to build muscle or loss fat or you are simply looking to take steps towards great health, fish oil is a supplement you definitely should add to your daily diet. There are not many supplements that offer as many benefits as fish oil does. Some preliminary studies also indicate that fish oil may be effective in the treatment of ment al disorders including depression. Fish Oil may have earned its reputation as “brain food” and is now one of the most popular dietary supplements on the market. The Omega-3 fatty acids in fish oil are thought to be beneficial in treating hypertriglyceridemia, and possibly beneficial in preventing numerous disorders such ADHD or ADD(attention deficit hyperactivity disorder), psychosis, Alzheimer’s disease, and other thinking disorders. One of the main benefits of fish oil is a healthier blood cholesterol profile. Whether you are currently suffering from cardiovascular disease or are at an increased risk of suffering from this condition, adding three to six grams of fish oil to your daily intake can help promote better ratio’s between HDL and LDL as well as lower the levels of triglycerol concentrations in the body. NASA-sponsored studies have found a long-sought link between nutrition and the loss of bone density in astronauts during space missions. The results of four studies suggest that the introduction of the omega-3 fatty acid at the cellular level inhibits a trigger that leads to bone density breakdown in the absence of gravity. 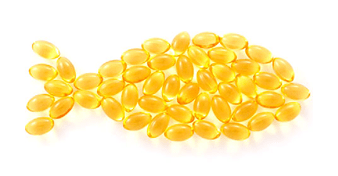 Regular daily dosage of fish oil may help protect against a variety of forms of cancer. Eating plenty of antioxidants through fruits and vegetables is one of the best ways to offset the damage by free radicals, however fish oil also offers valued protection. A study found, animal fat consumption compared with fish oil consumption may help safeguard the negative effects of animal fat on the body tissues, that may lead to developing cancerous cells. Many people are optioning for processed foods as a quick fix to hunger and are not getting enough quality nutrition to support and maintain healthy bodily systems, which in turn adds stress build up creating mood disorders at the cellular level. Fish oil consumption helps to increase serotonin in the body, which is termed the “feel good” hormone that puts you in a relaxed and peaceful state. By supplementing with fish oil you will naturally improve your own serotonin release in the body, which will keep your emotions on a steadier keel, regulating mood disorders. Adding high quality fish oil to your daily intake may help you become healthier at the cellular level. When your inner parts are running smoother and being maintain the outer parts the skin will follow suite. Thus,　radiantly beautiful smooth skin is a great sign you are taking care of your body inside and out. This entry was posted in Fish Oil, Mental Health, nutrition, Uncategorized by Wesley Morris. Bookmark the permalink.